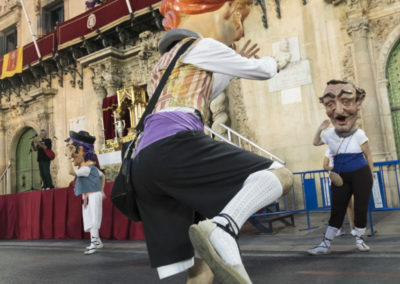 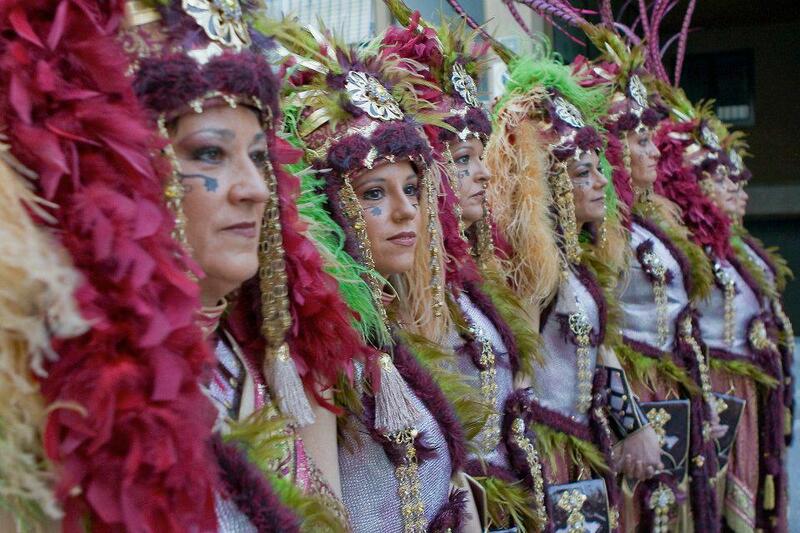 Take part in Alicante’s festivals and discover a whole world of emotions. 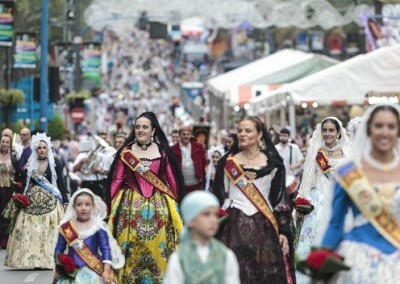 The yearly calendar is marked by numerous festivals. 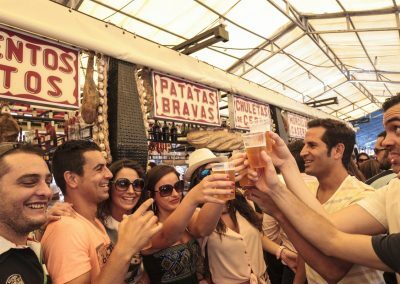 The joy of the city and its people is represented by the great variety of fiestas that leave you with such a lasting impression. 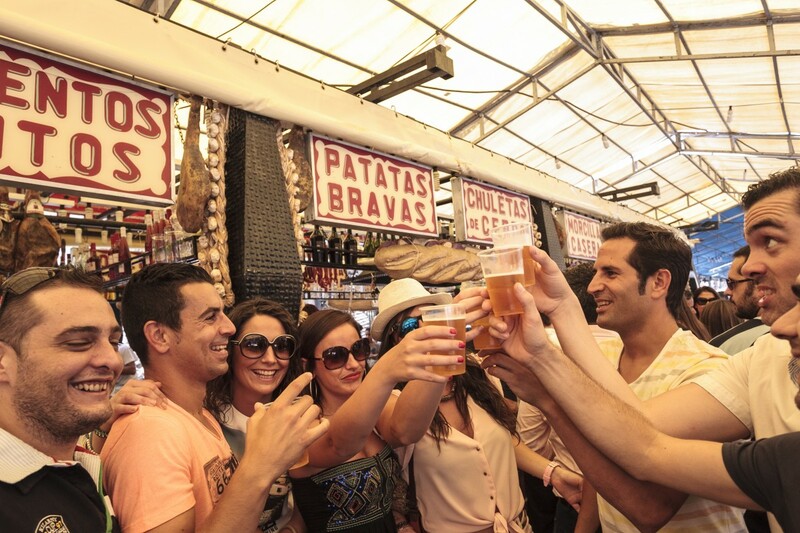 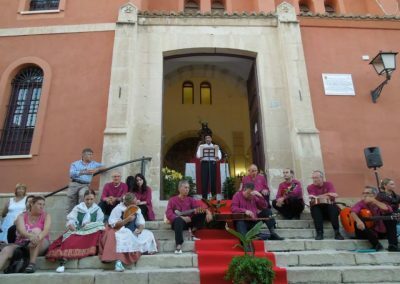 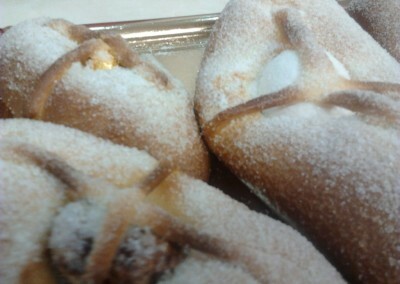 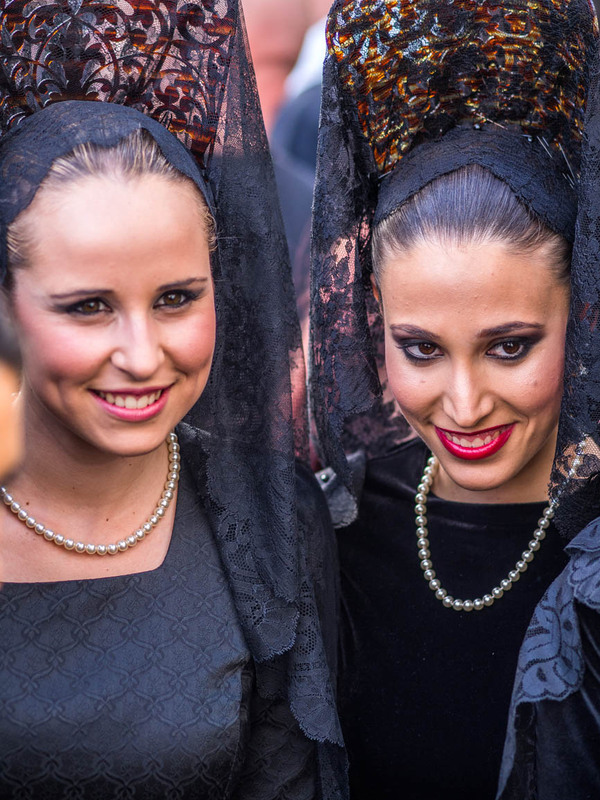 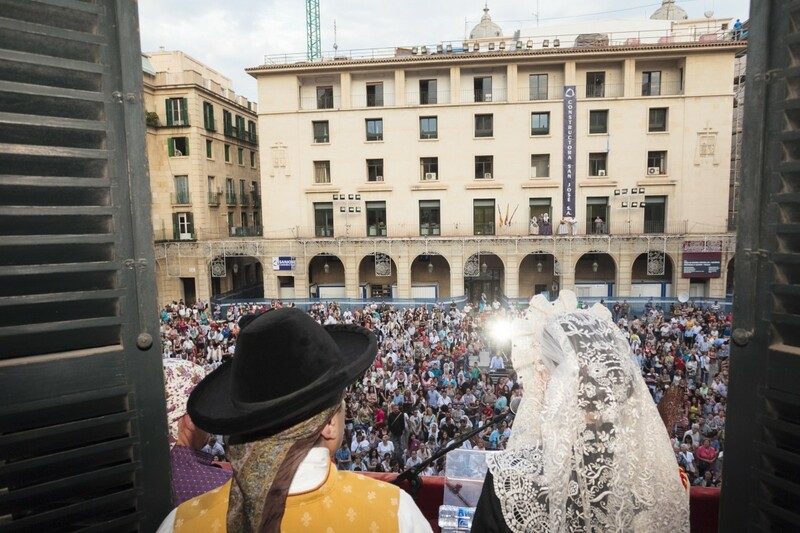 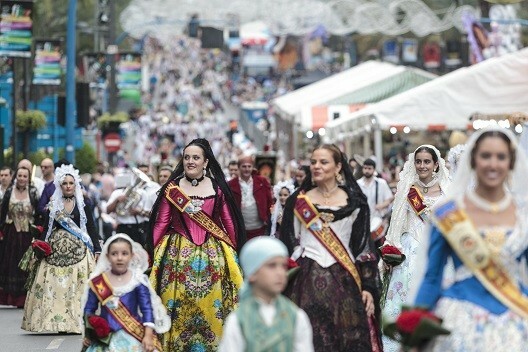 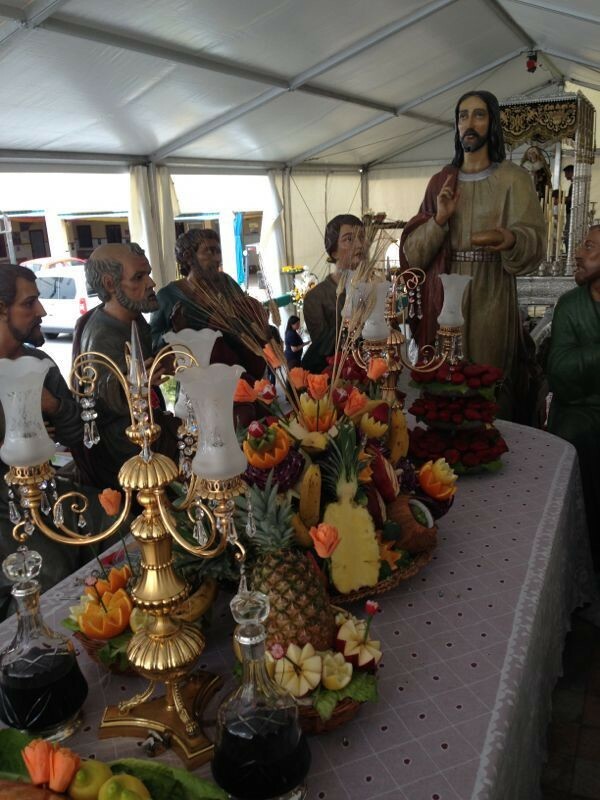 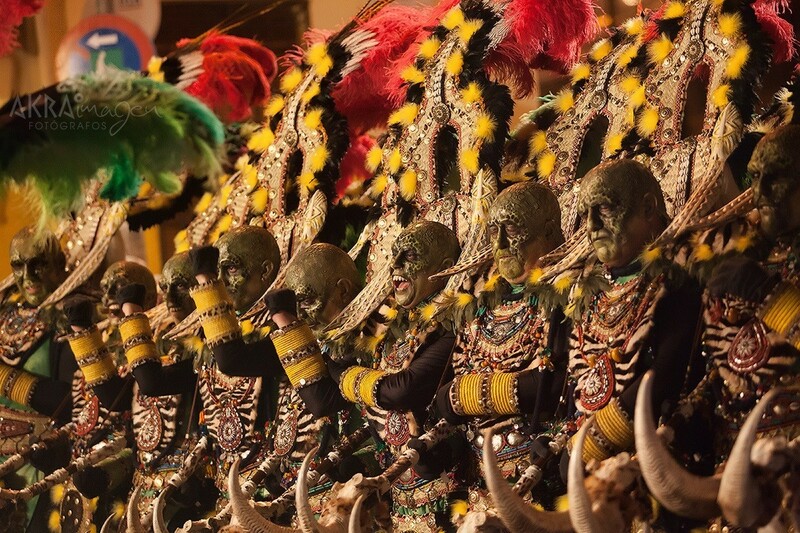 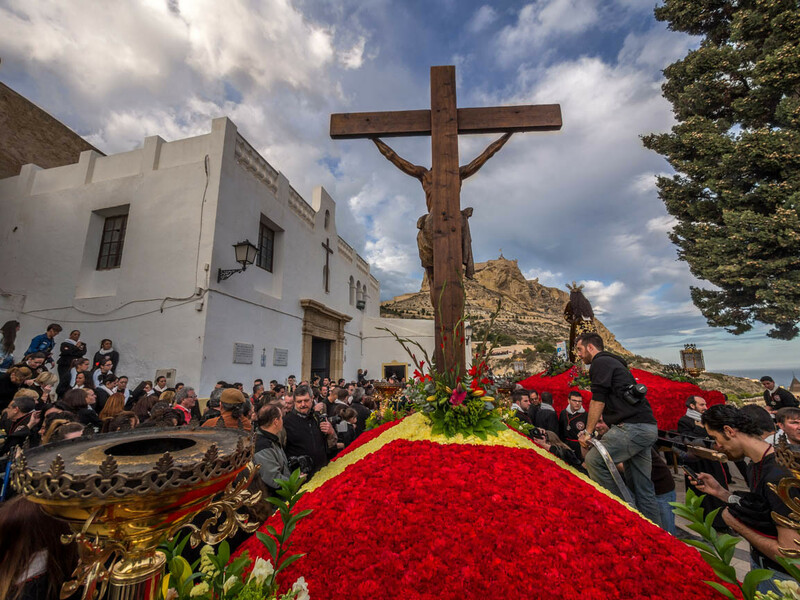 The chances are that one of Alicante’s many festivals will coincide with your stay. Alicante’s festivals are undoubtedly one of the greatest attractions this warm and welcoming Mediterranean city has to offer. 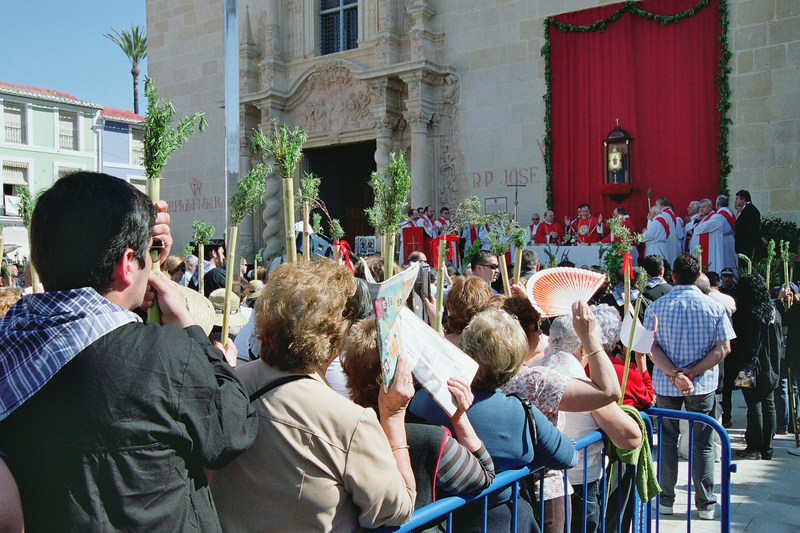 One of the most important events in the city’s diary. 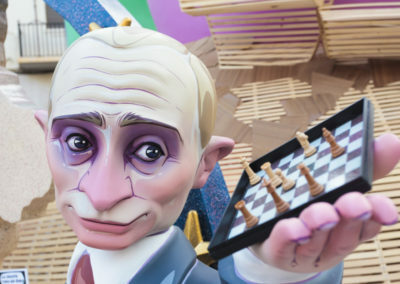 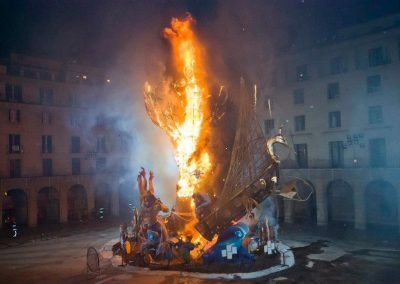 This festival has been officially declared to be of International Tourist Interest and its origins lie in the tradition of burning useless objects with the arrival of the summer solstice. 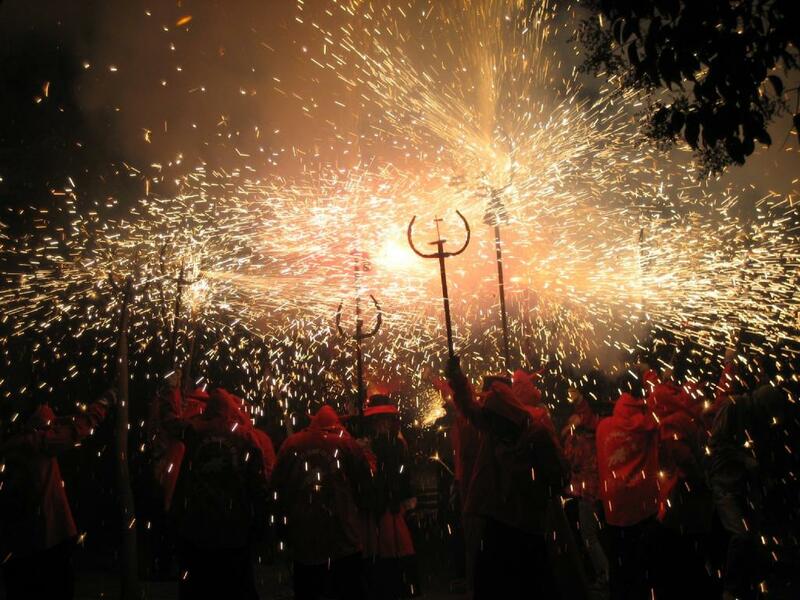 This is the most important celebration, beginning on the 20th June and lasting until the 29th. 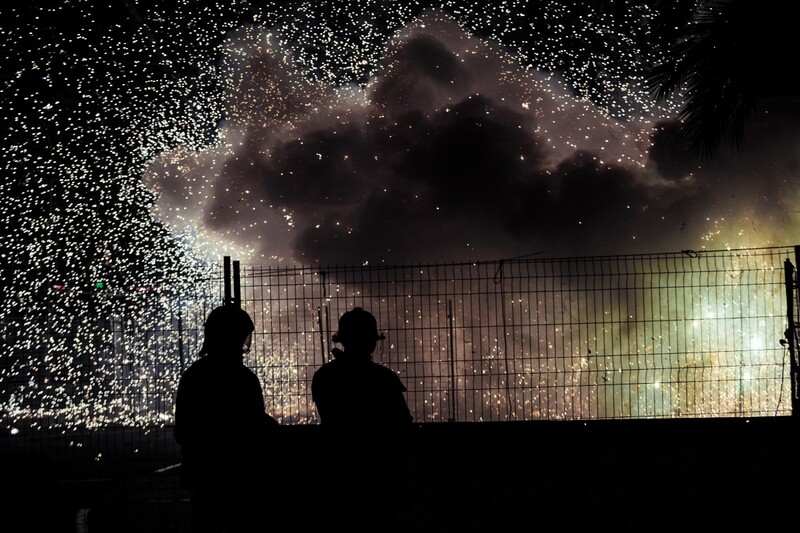 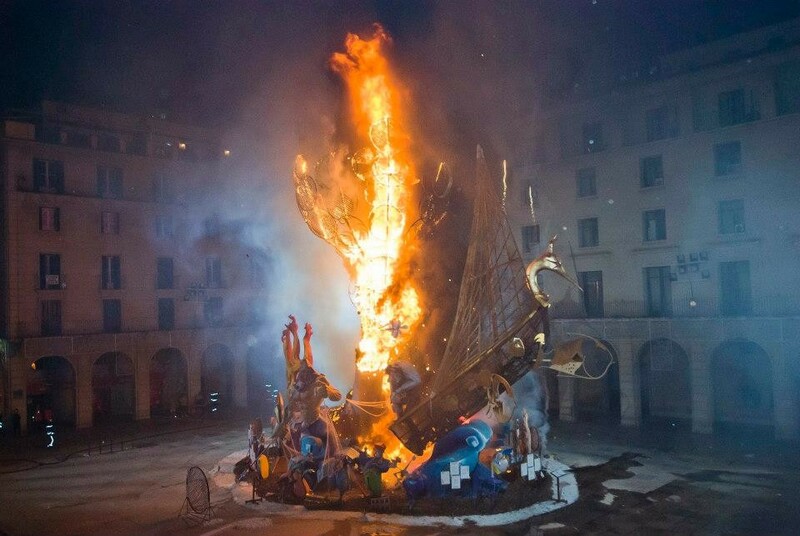 It is a festival dedicated to fire, including events such as the proclamation (The Pregón), the setting up of the bonfires (the Plantà), the procession of the effigies ( Cabalgata del Ninot), parades and processions in different neighbourhoods of the city and the main event on the 24th June, the feast day of Saint John Baptist, when large satirical statues made of cardboard and wood are set alight. 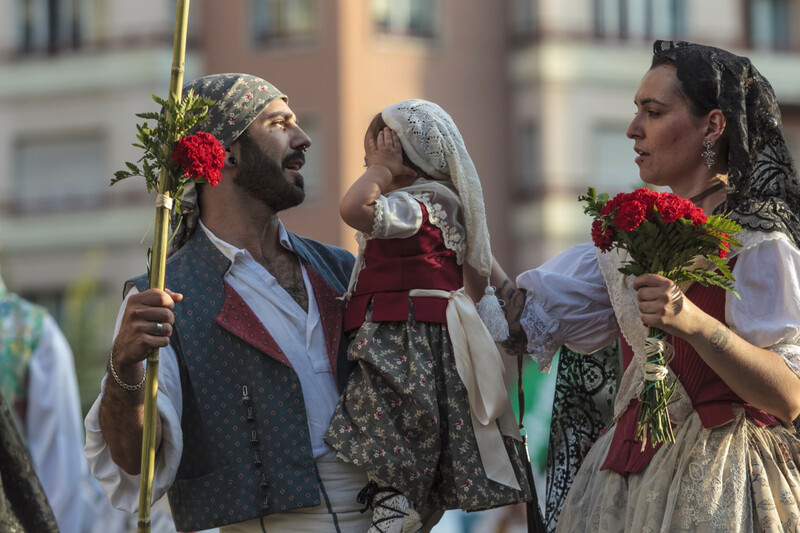 Officially declared to be of International Tourist Interest, the Hogueras de San Juan include one of the most important bullfighting events in Spain. 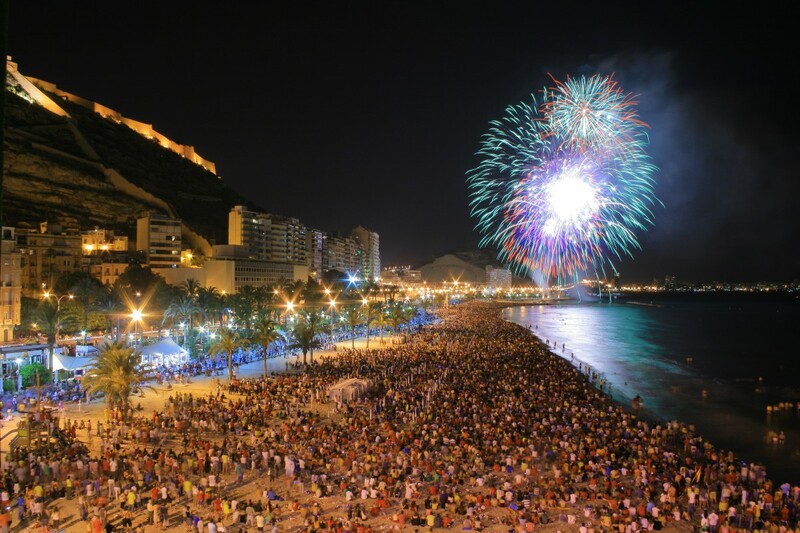 Once the main celebrations are over, there is a fireworks competition on Cocó beach at the far end of Postiguet beach, every night until the feast day of Saint Peter oh 29th June. From 20 to 29 of June. 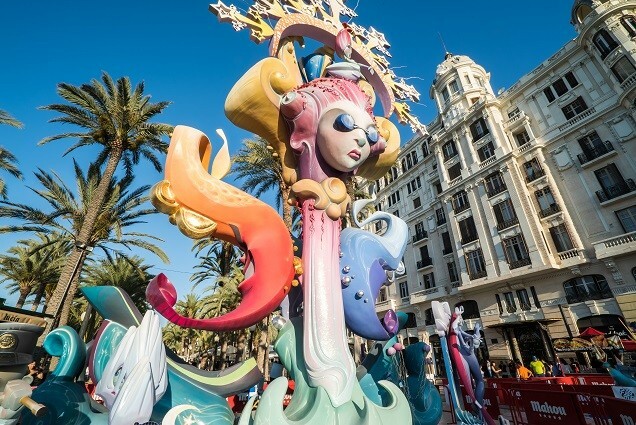 The main night of the Carnival in Alicante (Saturday Ramblero) gets its name from one of the main avenues of the city: the Rambla. 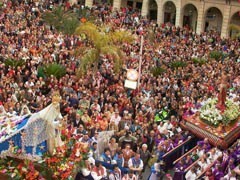 This street fills up with people dressed up during this special evening. 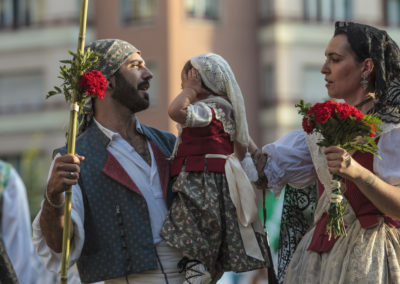 Costumes you can purchase, or home made for the occasion or even made out of rags, they are all great. 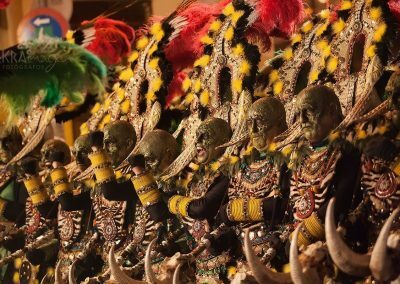 You can dance for hours in your fancy dress. 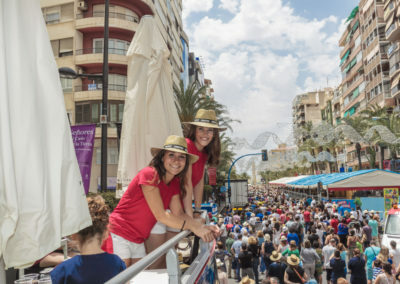 People from Alicante are very welcoming, nice and fun, so you can just let yourself go. 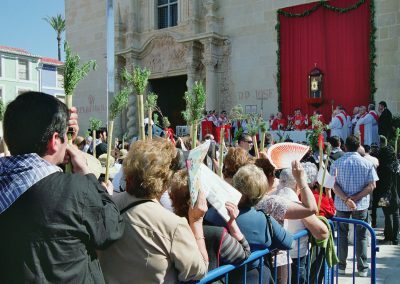 The Holy Week Easter celebrations start on Palm Sunday, giving way to a week of processions by around 30 guilds and brotherhoods. 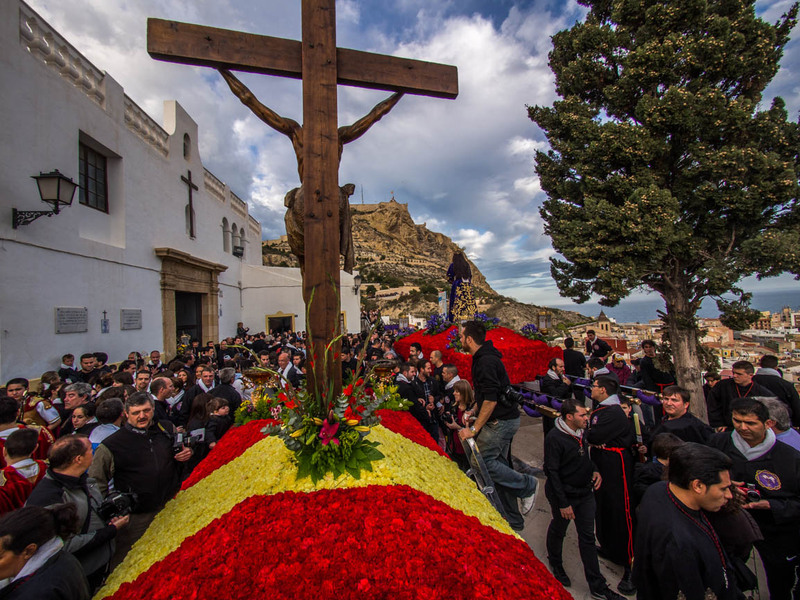 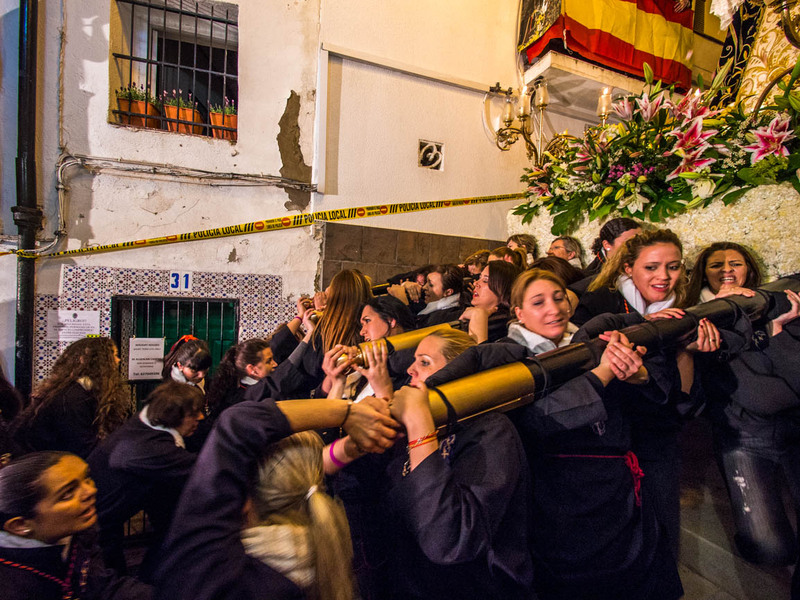 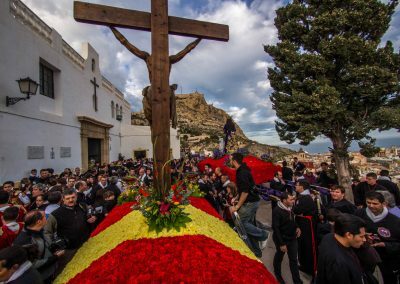 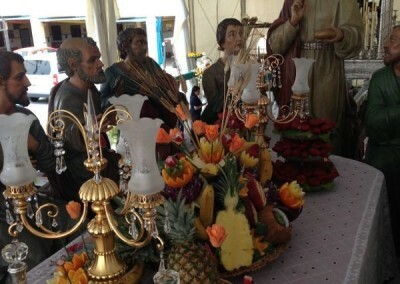 One of the most popular and emotive is the procession through the narrow, steep streets of the Santa Cruz neighbourhood on the Wednesdey before Easter Sunday. 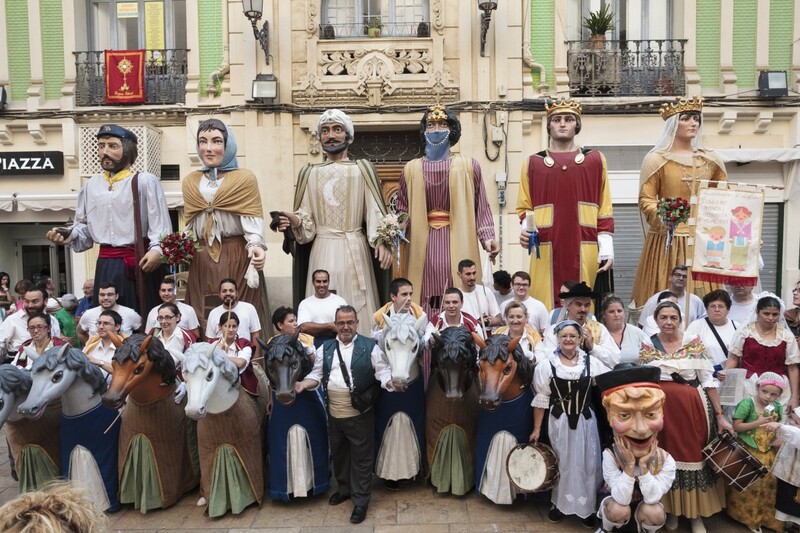 These fiestas are celebrated in different neighbourhoods of the city throughout the year. 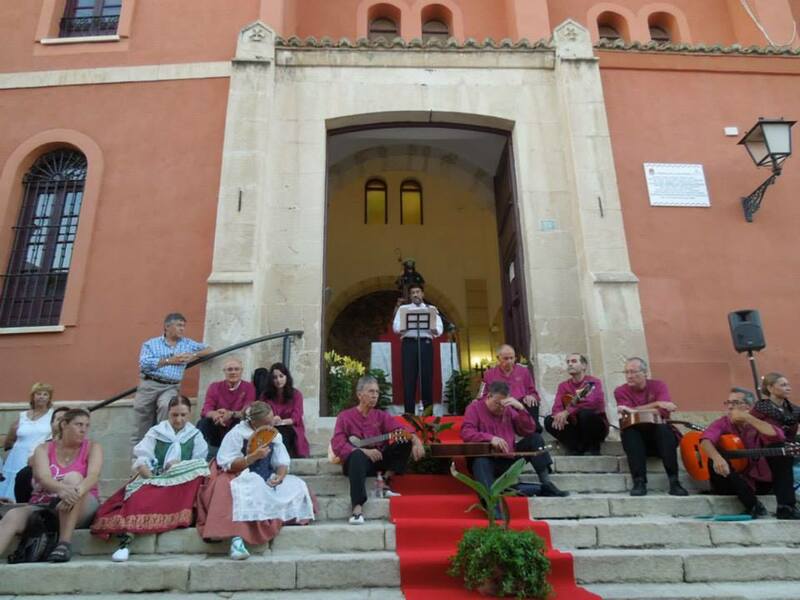 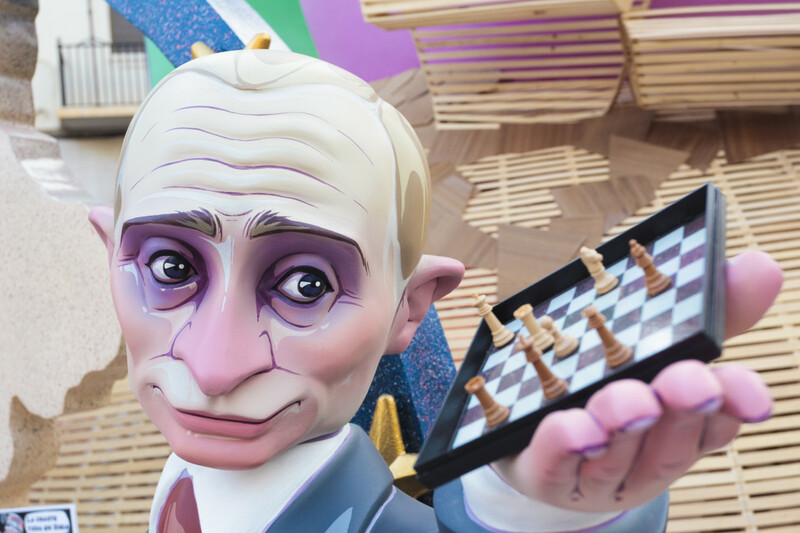 They commemorate, in a festive style, the battles fought between Christians and Muslims back in the 13th century to reconquer the lands of the province. 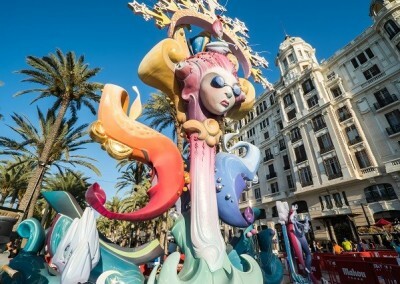 Some of the city’s neighbourhoods dedicate a few days to this festival. 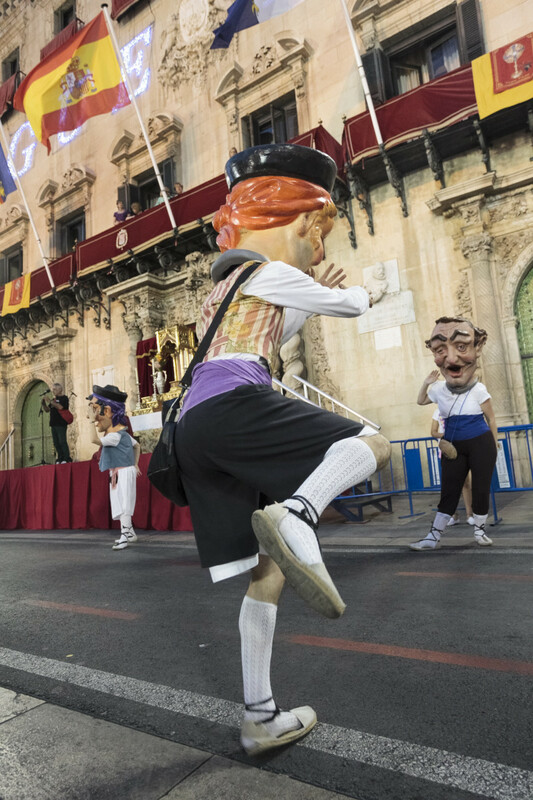 One of the highlights is the procession through the city centre on the 6th December in celebration of Alicante’s patron saint, Saint Nicholas. 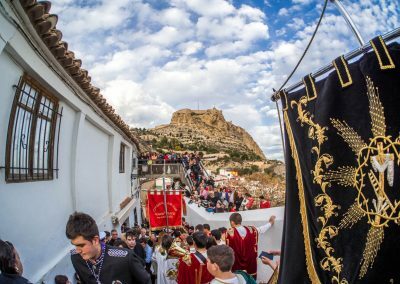 It is a fantastic opportunity to witness one of the east coast of Spain’s most popular traditions. 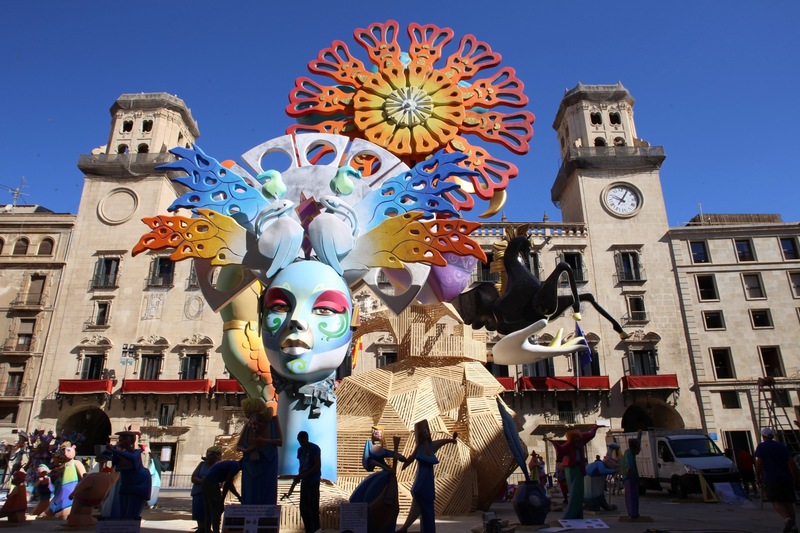 Christmas is a special time and the city of Alicante shines and shines. 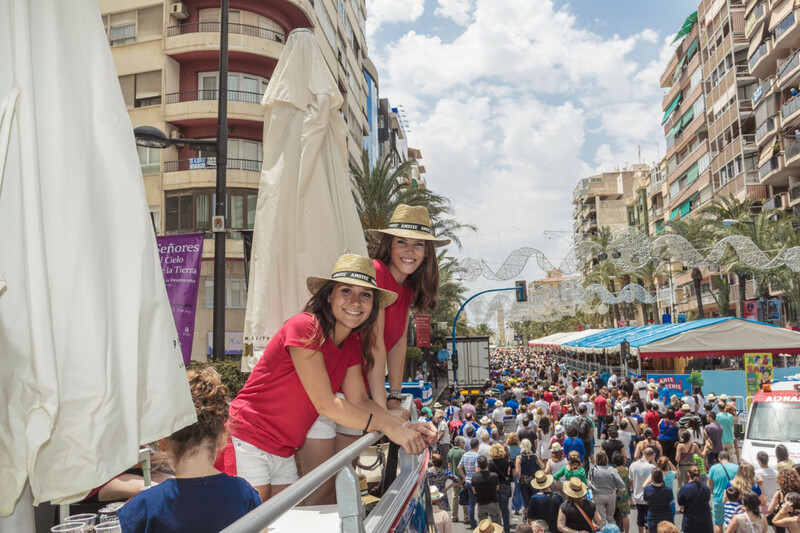 If you come to spend a few days or you are in Alicante during this time of year you will like to know that the city offers some endearing days through numerous activities and events so you have many things to do and see. 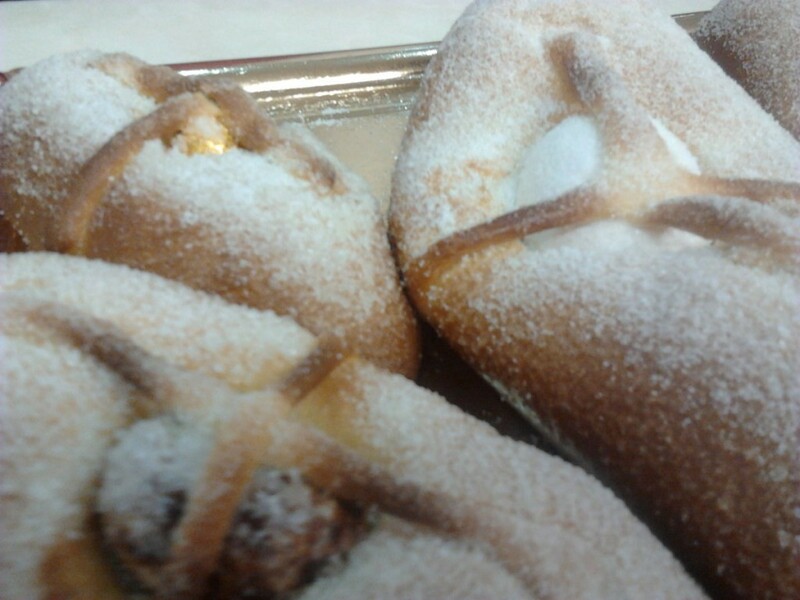 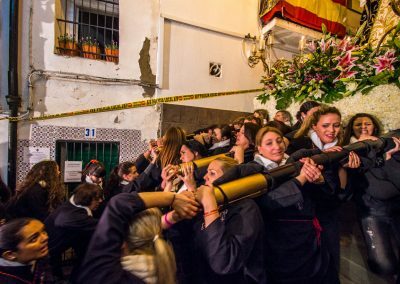 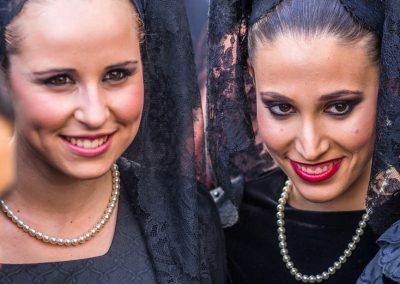 On the second Thursday after Maundy Thursday the popular pilgrimage known as La Peregrina to the Santa Faz Monastery takes place. 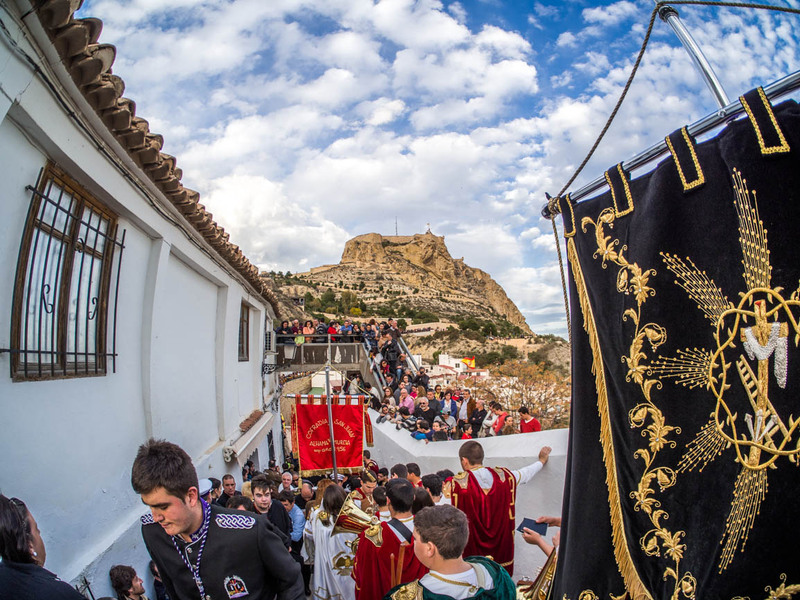 The monastery is 5 kilometers from the centre of Alicante, and is where, according to tradition, the fabric that Veronica used to dry the face of Christ on the way of the Cross is kept. 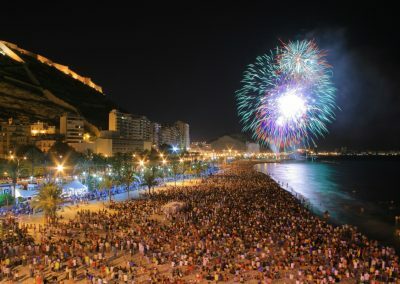 Fogueres de Sant Joan, fuegos artificiales. 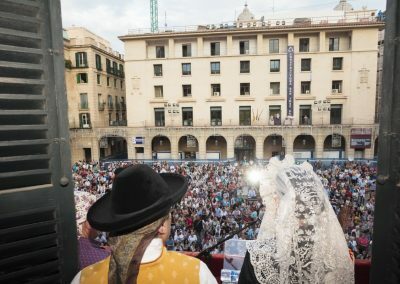 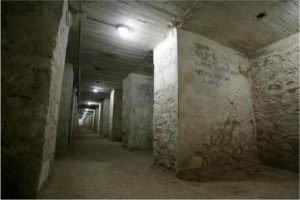 Autor Borja López.